Ever looked at a guy and thought to yourself, “Now that’s got to be someone who has been doing this since they were in their Huggies,” well… meet Matthew McCowan. Matt started his professional racing career back in 2014, entering his first Ultra4 race in Toole, Utah. Some of you may remember the picture of a car soaring through the air covered in mud? Yup, that’s the guy! Matt just wanted to go fast but soon realized if he wanted to play in the “Big Boys” sand box, he was going to need a Big Boy ride. In 2016 Matt upgraded to a “one of a kind” Jimmy’s 4x4 car and went on to take a top 10 in the West in National points the following year. Matt is a work harder play harder kind of guy, even building his first car, a Jeep CJ7 that he claims, “pulled all the chicks in high school.” But the Offroad in his DNA started long before that, when he was mobbing around his sweet electric jeep as a 2-year-old. Matt even learned to ride his first bicycle on Means Dry Lake Bed, now known as Hammertown. 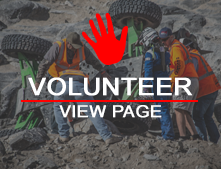 In everyday life, Matt works for an Industrial General Contractor as an Engineer, spends his weekends Off-roading, at the Lake, working on the Ultra4 car, or dragging his 1943 Willys Jeep through rock piles it should never go through. His team is all family and friends, and they spend as much time having fun off the course, as on the course. If you find Matt on the lakebed, come say hi, you can always catch him since he walks pretty slow with that lead foot of his, he will always have a good story to tell and will introduce you to the team.